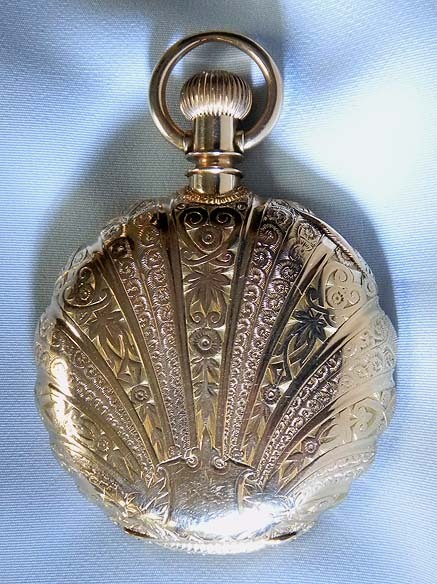 Fine, scarce and beautiful Ball Howard 14K gold antique pocket watch with signed Moorehouse dial circa 1887. 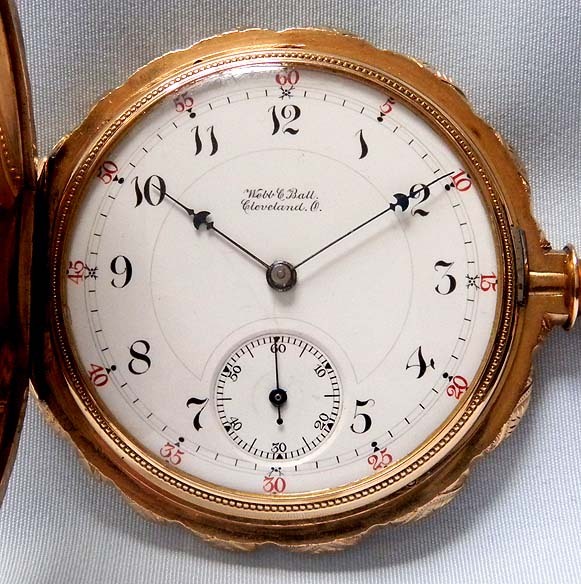 The dial (clean hairlines) with red and black markings, fancy numerals, and blued steel Howard umbrella hands. 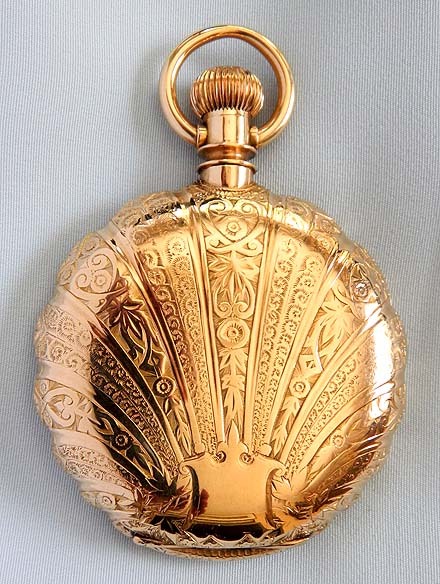 Beautiful heavy engraved and carved scallop case. 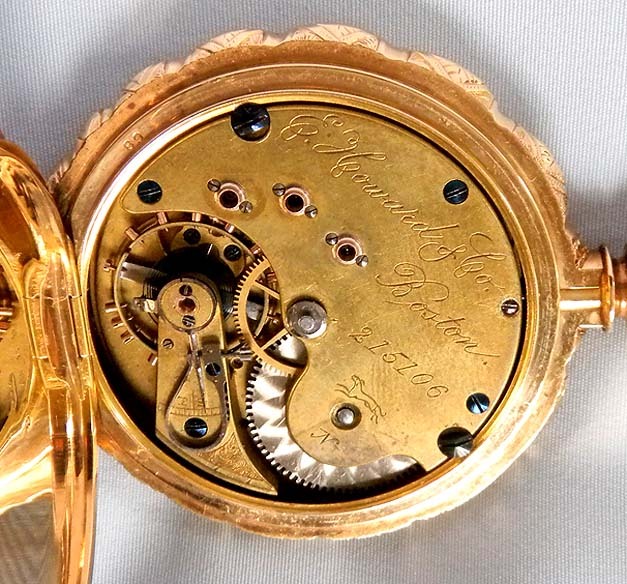 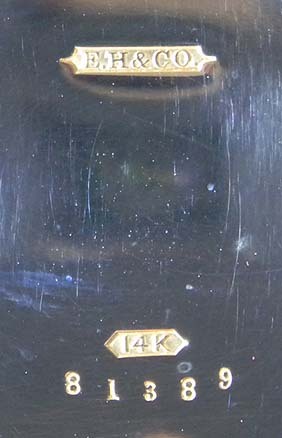 Gilt 15 jewel movement with screwed jewel settings and precision regulator.